Transform your smartphone and tablet into a fun, educational and safe haven for those young minds and little fingers as they explore the amazing world of Android. Curiosity is a common and healthy trait among growing kids. It is a sign of their willingness to discover, learn and adapt new things that will later help them develop into highly capable members of the society. The first, and probably the greatest, thing that they are curious about is their parents. They love to imitate every little thing that their Moms and Dads do including the things that they use like smartphone and tablet. It is understandable that you get a little hesitant whenever your tots want to borrow your smartphone or tablet. You tend to worry about what they may accidentally access when they go about exploring your precious toy. Thus, we recommend that you make your Android kid friendly by installing a parental control app like Kids Place . This amazing app enables you to choose the apps that your kids can use while they are using your Android device thus protecting your personal data and preventing them from making phone calls, downloading or making in-app purchases. At some point in our life back when we were little, we all enjoyed playing pretend doctor with our family and friends. This is exactly what Dr. Panda’s Hospital is all about. It is a fun and inspiring game especially for those children who are dreaming of becoming a life saver someday. It features several medical activities in a complete hospital setting including waiting rooms, patient room and even a helicopter landing pad. 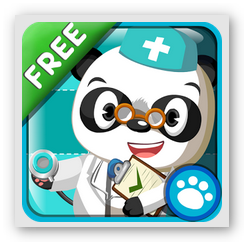 To top it all, this Android app for kids is certified by kidSAFE® Seal Program. 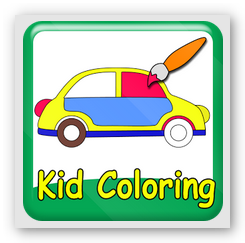 Kid Coloring, Kid Paint is a free Android app for kids that aims to hone the creative and artistic abilities of your little ones. 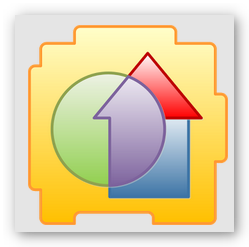 It comes in two coloring modes, the first one is where they can use their fingers to manually color the images and the second is the when the images is automatically filled with a color of their choice as soon as they touch it. Aside from more than 250 images to choose from, it also includes a white background that allows your kids to freely draw whatever they want. 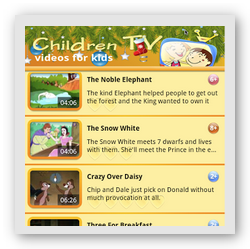 Another good Android app for kids that aims to promote a safe cyber environment is Children TV . This app enables your young ones to browse and watch child friendly online cartoons that can be filtered via age bracket (2, 4, 6, etc.). It also comes in many languages to encourage kids and parents alike to discover and learn a different language. Read Me Stories: Kids’ Books helps children to re-discover the majestic world of books. It features two modes namely “Read To Me” and “Read Myself”. 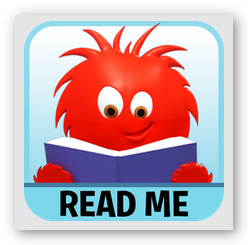 This free Android app for kids will be supplemental in developing their reading and comprehension skills. It is also a good way to spark their interest and love for books until it eventually becomes a habit for them.